Includes 12. 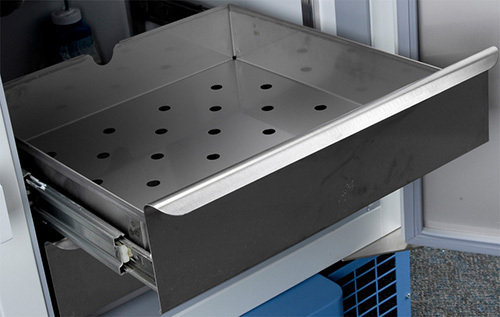 Stainless steel drawers are an alternative to standard shelving. Adjustable with full extension.